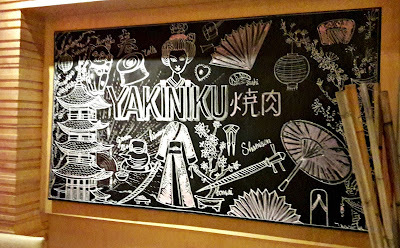 Yakiniku at Hyatt Regency Chennai is earning quite a name for itself for good Japanese food if the newest menu is anything to go by. Sous chef Amlendu Kashyap is in charge here and over dinner on Saturday night, he showed us exactly why the restaurant has been voted the best Japanese restaurant in the premium category in the city. 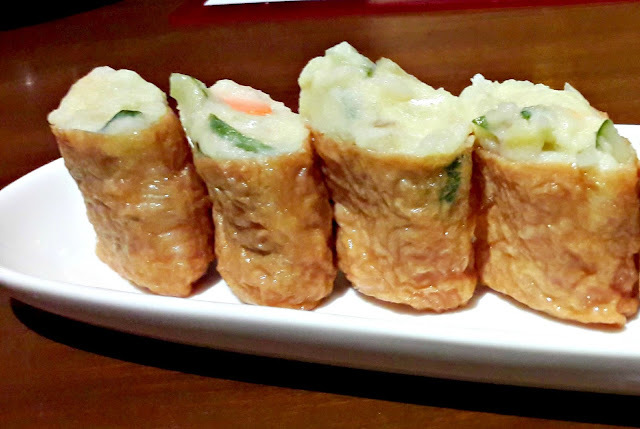 Inari potato salad comes all wrapped up in tofu skin. The tofu skin that I've had all this while at Chinese restaurants has been stuffed with a mix of meats. 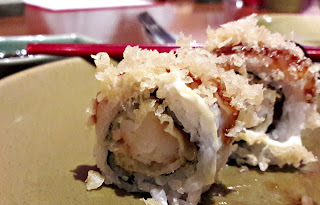 But here, it had been stuffed with mashed potatoes and pickled veg 😲 yup... my exact reaction when I read the description. But wait...what I didn't say was how delicious it was. That pickle, crisp and tangy was the perfect foil for the smooth potato mash. It's a cold starter but don't let that stop you from relishing it. 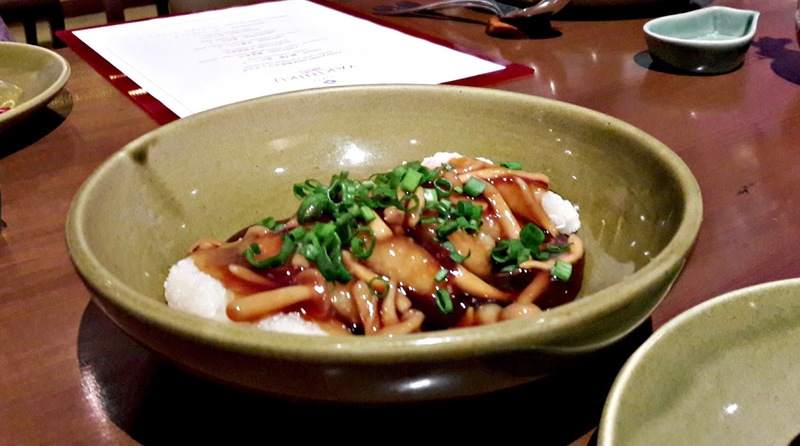 Mochi with mushrooms is outstanding. The mochi looked like little idlies but any resemblance to the South Indian dish stops right there. 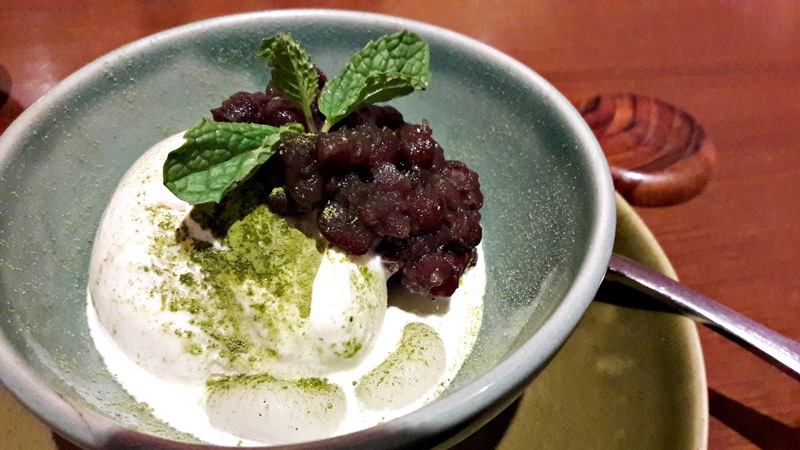 Made of glutinous rice, they are soft, squishy yet chewy (it's hard to describe the texture of mochi). 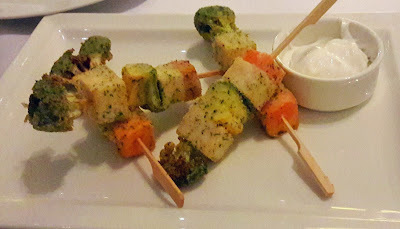 On their own they taste bland but the shimeji and mushroom sauce it was served with took the flavours to another level. Prawn, nori and Japanese mayo - simple ingredients but when made into tempura maki roll, it becomes more than amazing. Tempura crumbs added more texture. Yummy! 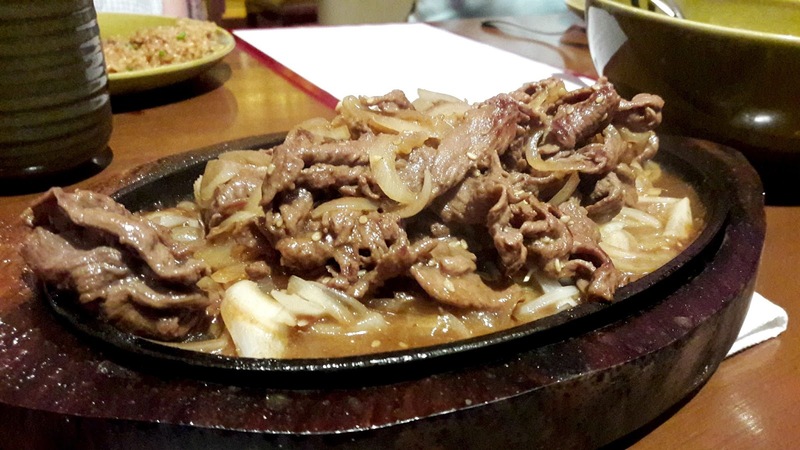 There are sizzlers on the new menu - tofu steak, Yakiniku Beef and Yakiniku Pork. 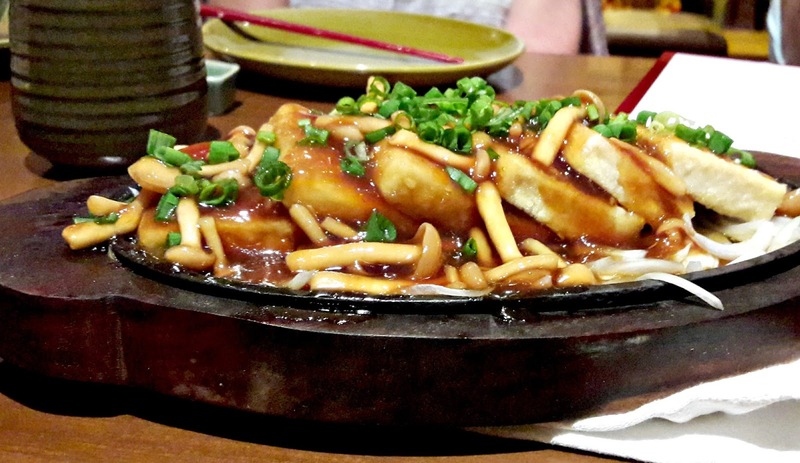 All three are delicious, mushroom fans will love the tofu steaks that sizzle in the mushroom sauce though it's quite similar to the one served with mochi. 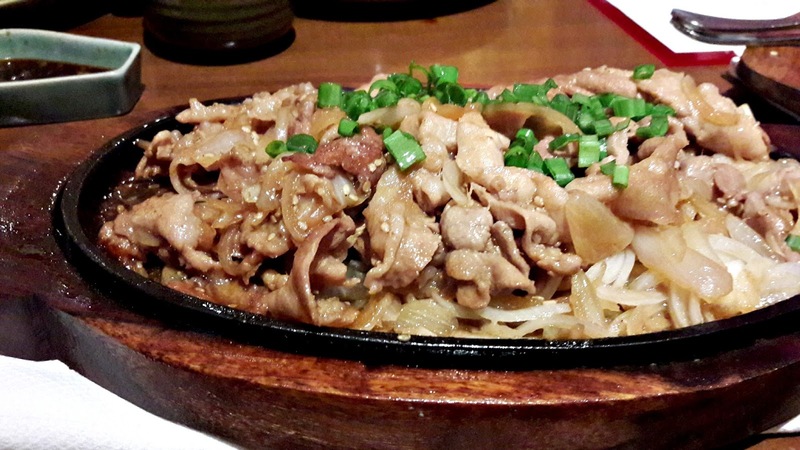 The pork was the more tender of the two meats but the sauces they were cooked it were full of flavour. Chef Amlendu combines up to to 12 different sauces, including mirin, to complete this dish. The only minus point was for the amount of onions in the dishes. We had garlic fried rice to go with the meats. Chicken Udon is definitely comfort food - imagine curling up with a good book and a bowl of udon noodles, poached chicken and spinach in a nourishing broth. However, this version didn't quite reach the bar that had been set so high. 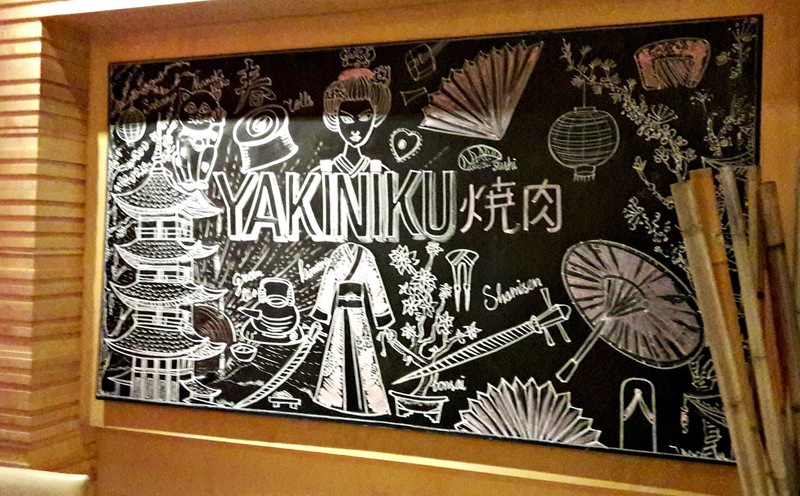 Yakiniku's new menu is well crafted, subtle yet packed with a good understanding of Japanese flavours. It has plenty for vegetarians as well. 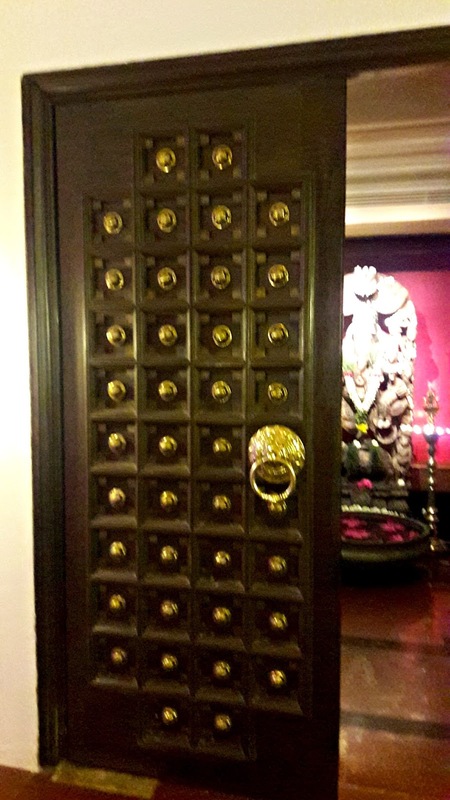 Push open the embellished wooden door of Dakshin at the Crowne Plaza and you could as well be entering a room that time nearly forgot. A brass lamp and an urli with floating petals decorate the foyer. On the walls hang Tanjore paintings, there are wooden carvings, brass artifacts and pillars. A group of musicians are seated in front, playing classical music. 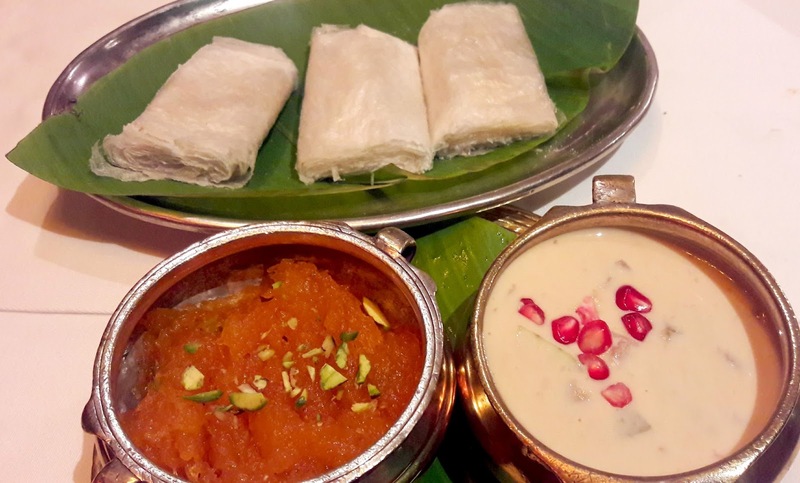 Tables are set with banana leaf-fitted thalis, water tumblers and steel katories. The room is dimly lit but enough light shines over the tables so you can read the menu. 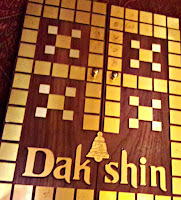 (The menu is a conversation starter - the cover looks like two doors!) The decor is unmistakably South Indian and very elegant. 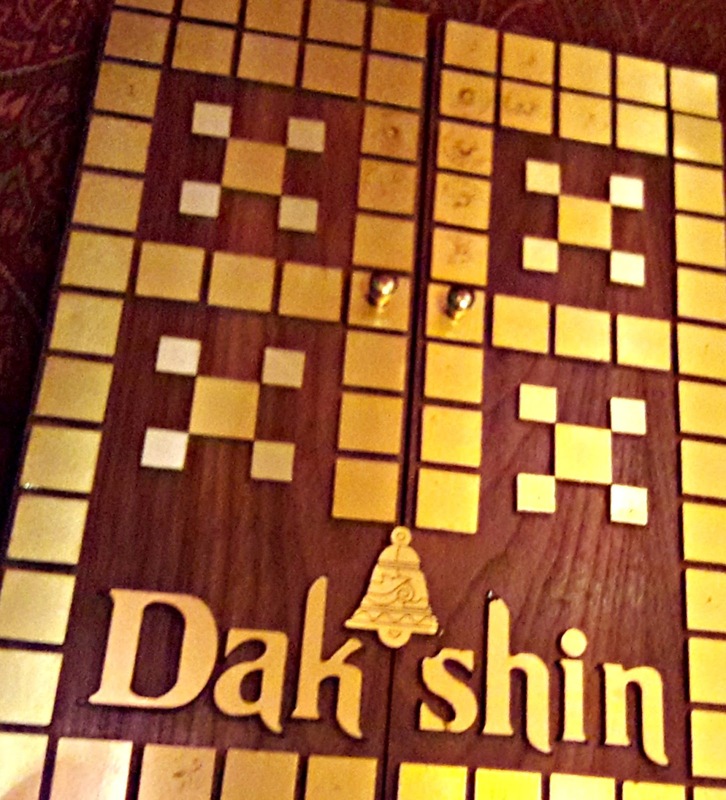 Dakshin serves cuisines of the southern states of India. It is a beautiful setting for Ugadi Ruchulu. Ugadi is the Telugu New Year and it's definitely one of the best of times to visit Dakshin to taste the flavours of the festival. 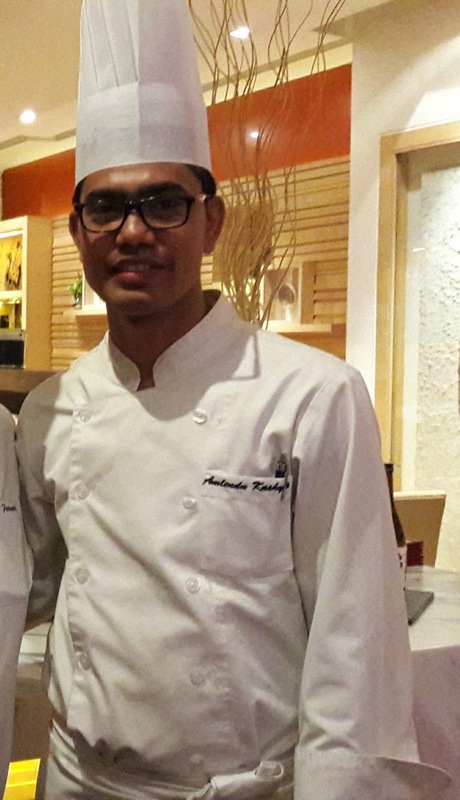 Sous Chef Prabhakaran's menu is a celebration of this festival and we're welcomed with panakkam, a mix of jaggery and ginger powder. It's not only refreshing but also a digestive. 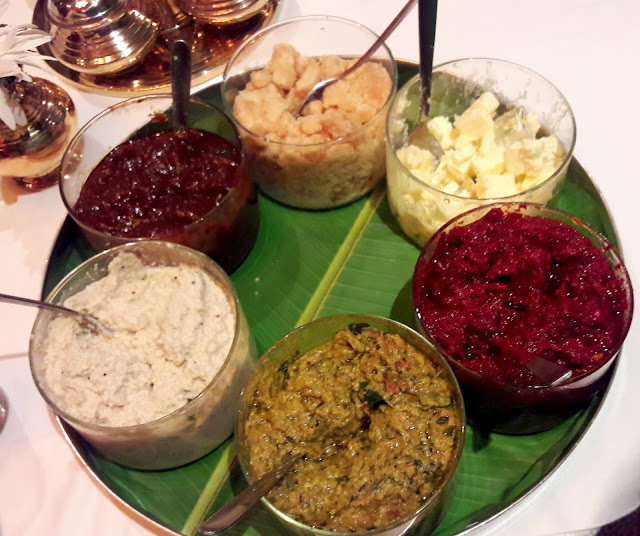 Four chutneys - tamarind, coconut, ridge gourd and beetroot were served first , along with butter and cubes of jaggery. All the chutneys are delish, every day, there is a new selection. 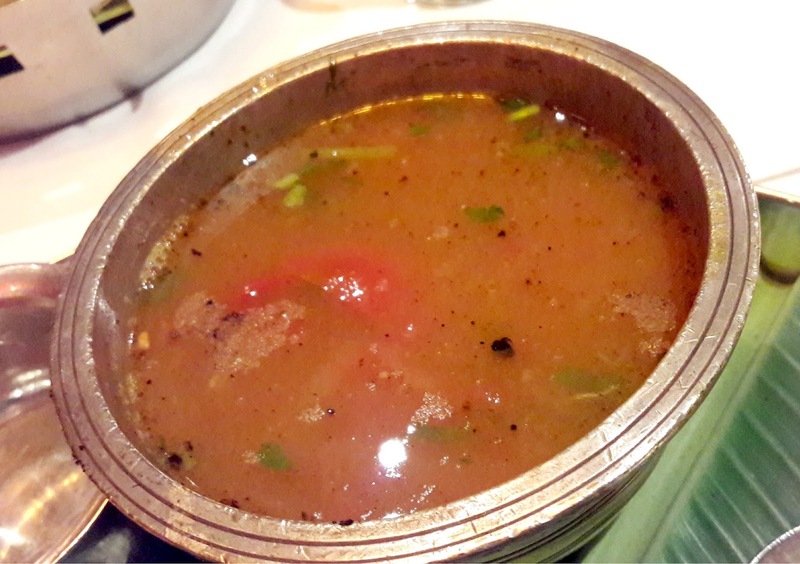 Peethala Charu is a thin spicy crab soup, the flavour of the crab was almost indiscernible. 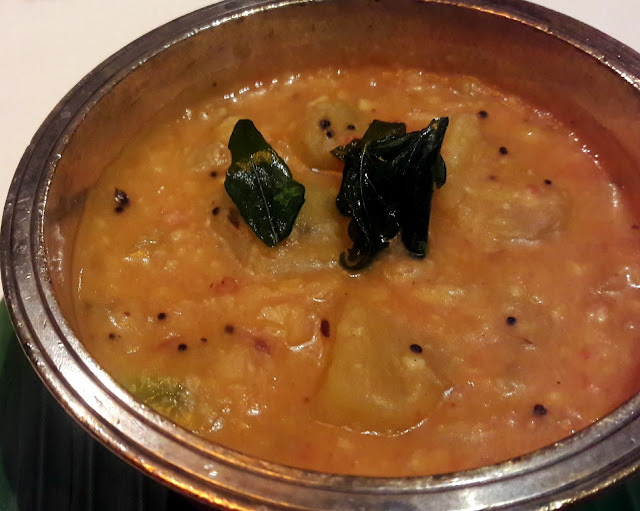 The other soup, Miriyala Kodi Ulavacharu, was much nicer, the lentil adding body to the chicken broth. There is an a la carte menu but we decided to order the non-vegetarian thali on the chef's recommendation. The gravies are served in little katories. 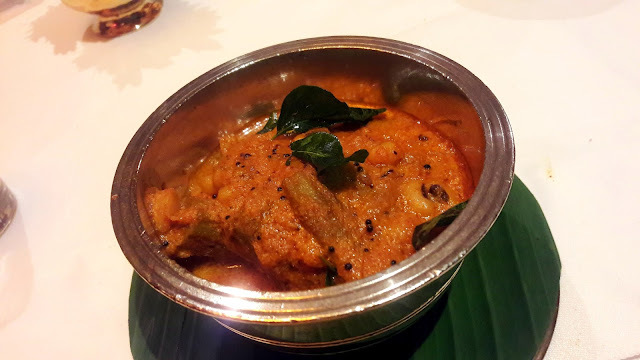 There was green mango with dal, curry leaf curry, delicious prawn, onion and tomato in a thick gravy and country chicken curry in the katories. Other side dishes were dal and drumstick, whole baby brinjal and a stunning lamb and drumstick masala. The wholewheat paratha did a good job of mopping up the gravies. 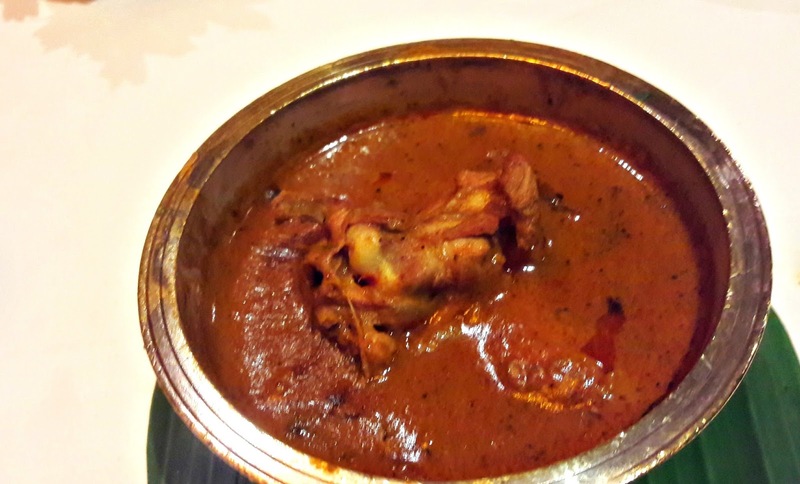 The best was definitely mulakada mamsam - lamb cooked with drumstick. The other standout dish was the prawn in onion-tomato gravy. 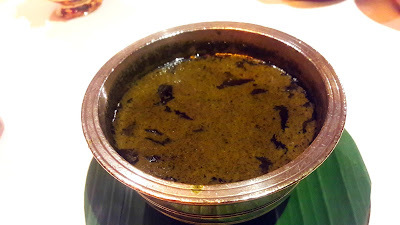 And also the curry leaf gravy which was not at all bitter. 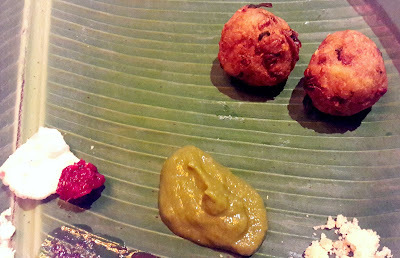 Andhra cuisine has a reputation for being very spicy but surprisingly, none of the dishes reduced me to tears. 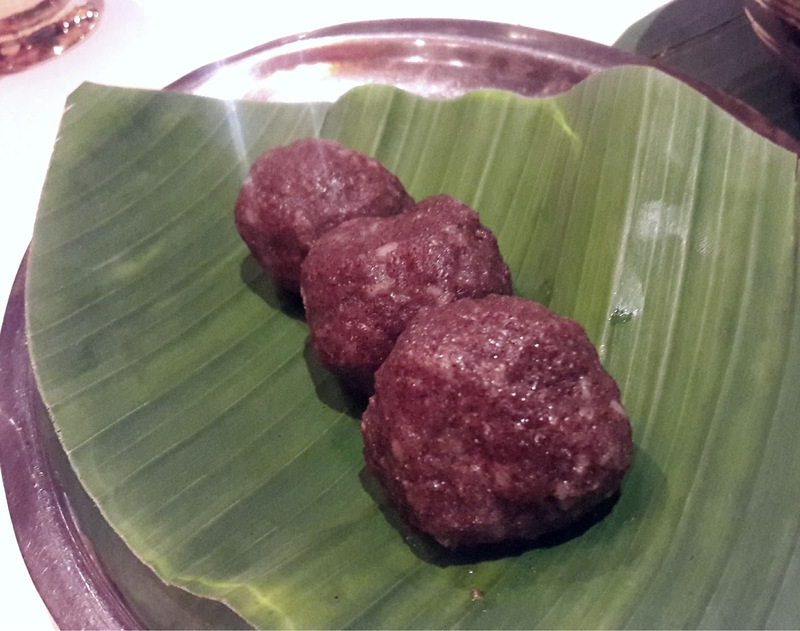 Ragi sangati - ragi dumplings were something I've never had. They look like cannonballs and came hot off the steamer. They're rather gooey and best eaten with any of the gravies. 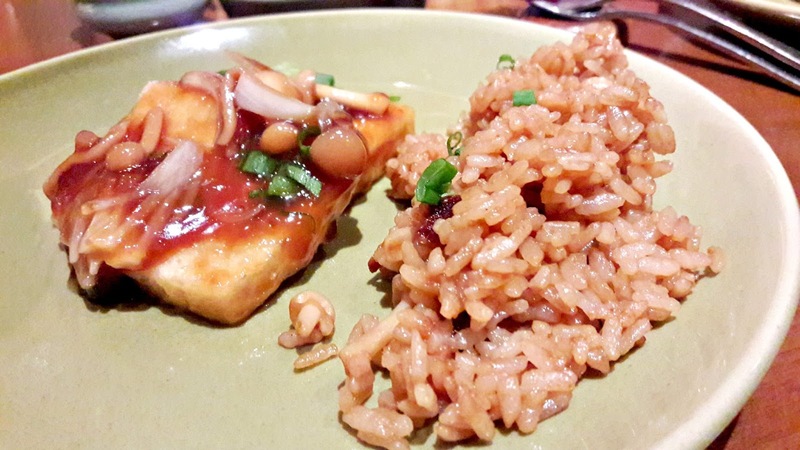 Very filling too and healthy. 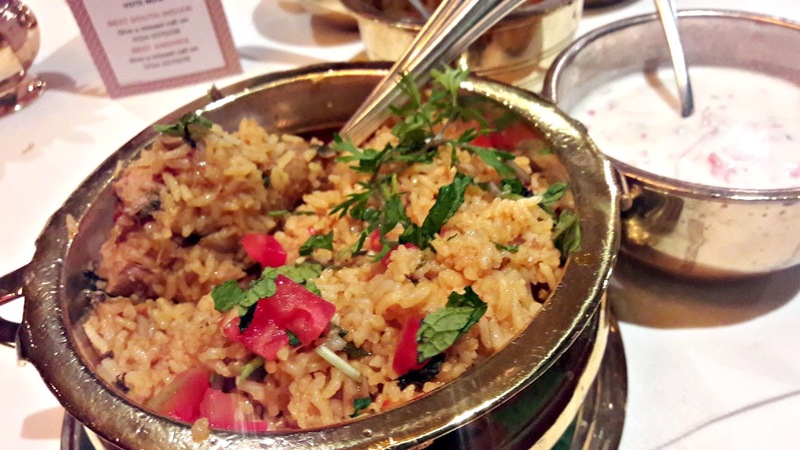 The Nellore-style biryani was very flavourful and mildly spiced. The diced tomato was the only thing that didn't quite belong in the dish. 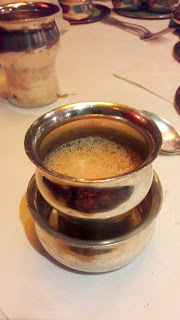 Well, we were stuffed but that pootharekulu was tempting. 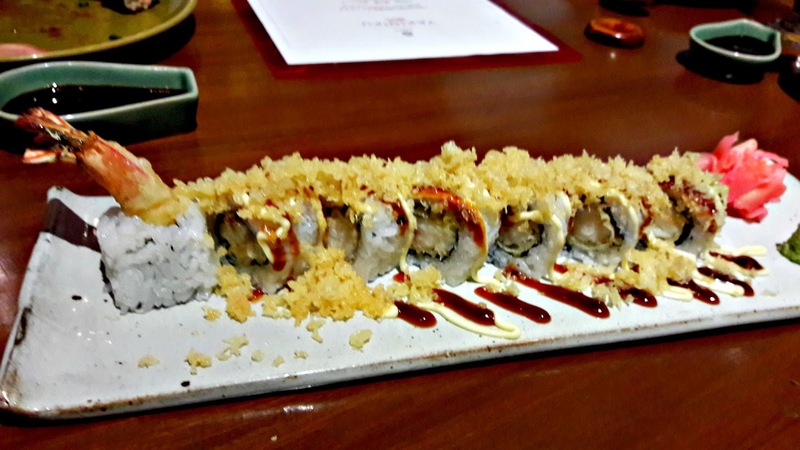 Making it requires plenty of skill but the end result is delicious. The halwa was made with ash gourd and lightly sweetened. 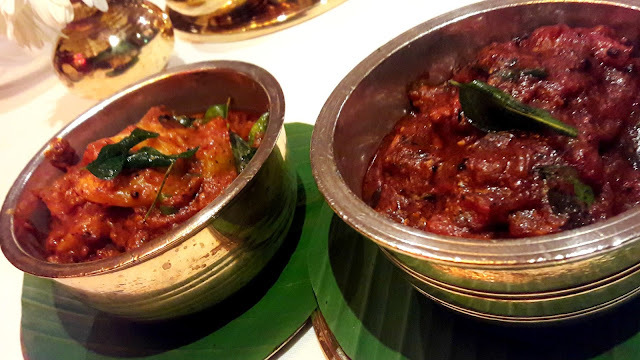 There are some iconic dishes at Dakshin that you simply cannot afford to miss. One is their banana dosa and the other, the filter coffee. I am quite finicky about my coffee but I must admit that this one floored me!! Ugadi Ruchulu is on at Dakshin, Crowne Plaza till March 21st, for both lunch and dinner. 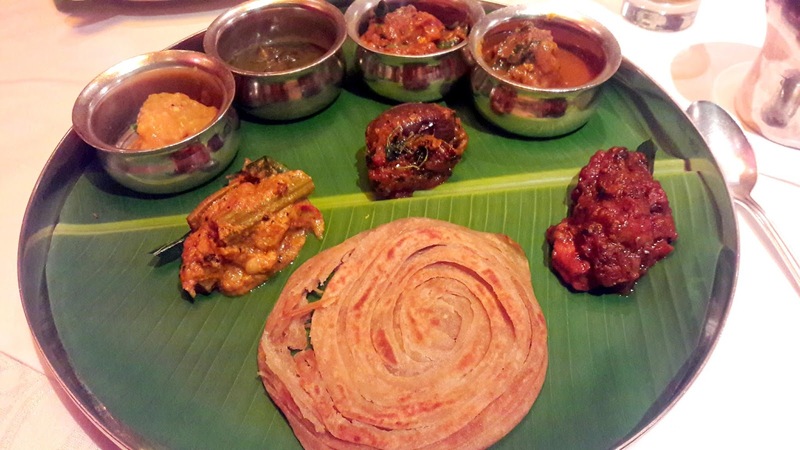 The veg thali is priced at 1800/++, non-veg at 2200/++. 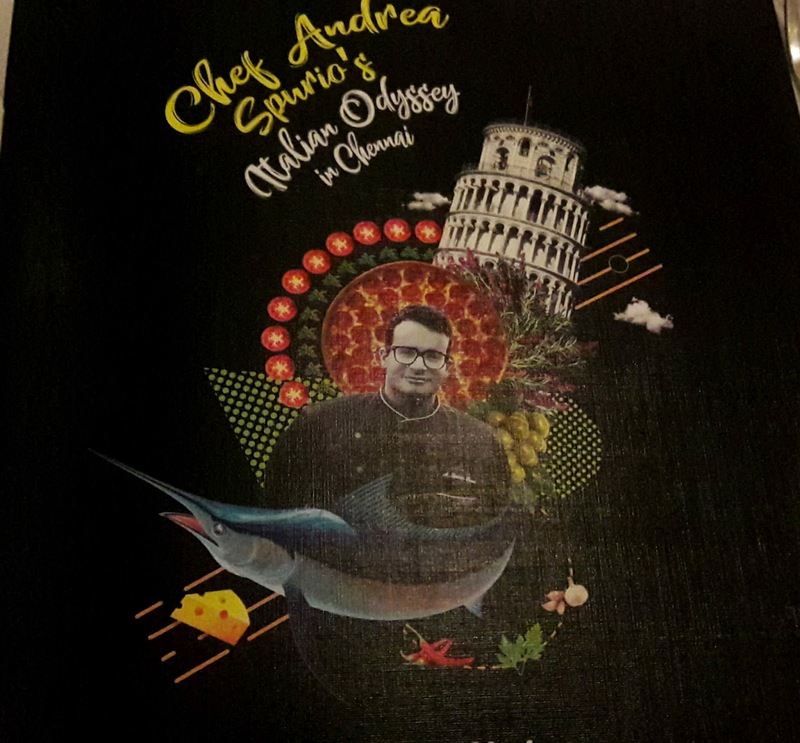 Chef Andrea Spurio is young and energetic; his food reflects that youthfulness and what contemporary Italian food is all about. 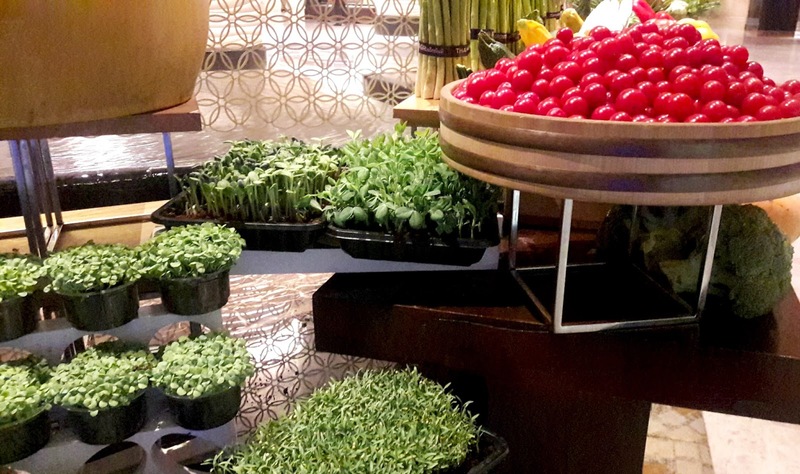 His plates are bright and flavoursome and you can even eat the garnishes! Est, Hilton Chennai's 24-hour lobby cafe is a long way from Hilton Molino Stucky in Venice which is Chef Spurio's home turf. 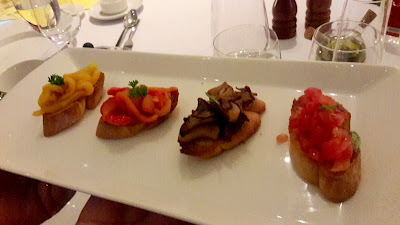 The platter of Bruschetta Mista brought the colours of Italy to the table - the garlic-rubbed toasted bread had been topped with mushrooms, diced tomatoes and roasted peppers. 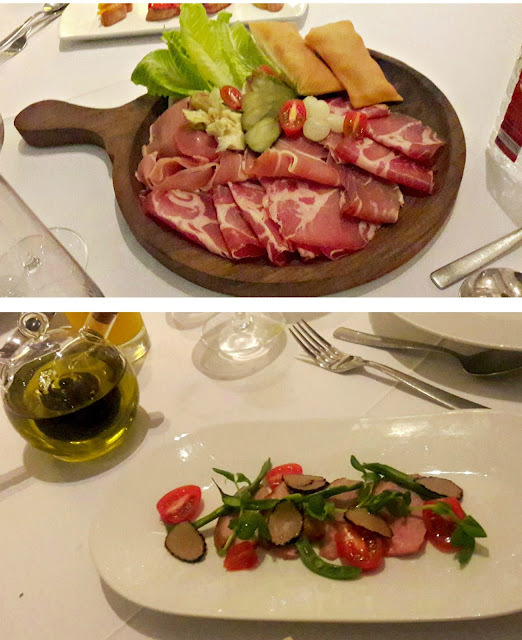 Then it was a medley of cold cuts - Parma ham, coppa, speck and salami. Pickled pearl onions, artichoke hearts and slices of gherkins were the perfect way to counteract the effects of all that salted meat along with the pillow-shaped gnocco fritto. 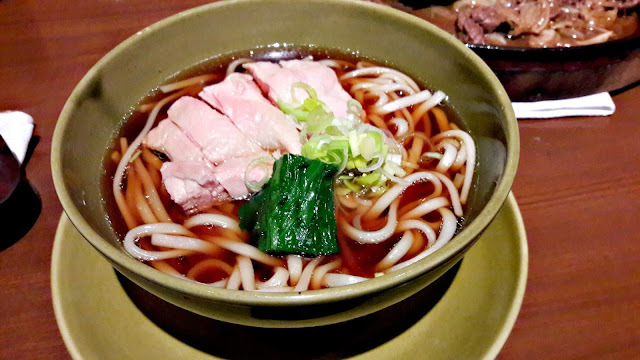 The meat in the next dish, thinly sliced duck breast had just the faintest blush. Decorated with green beans and shavings of black truffle, it was bathed in a balsamic vinegar salad that livened up the flavours. 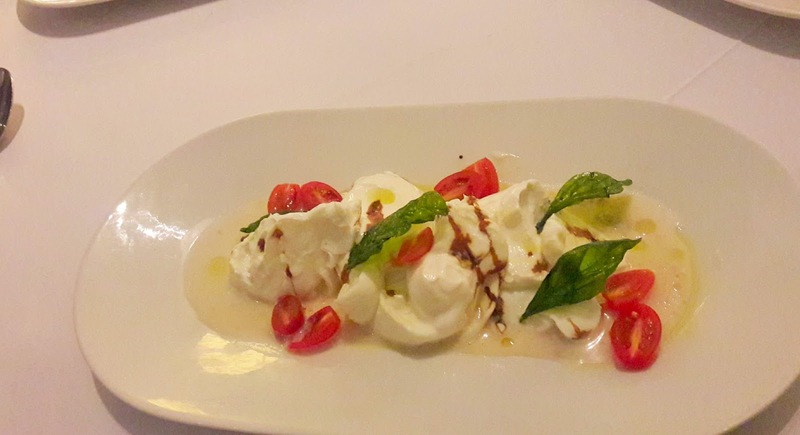 Caprese must be one of the simplest of salads and the burrata absolutely stole the show. 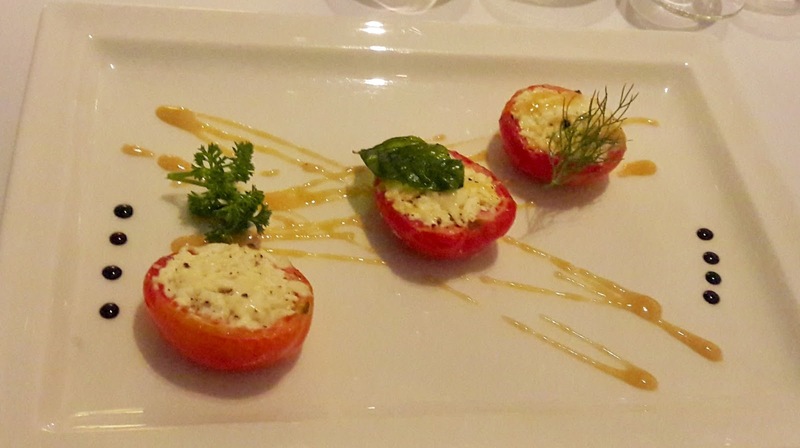 So creamy and amply flavoured by the basil pesto yet toned down by the white balsamic vinaigrette and sweet cherry tomato halves. 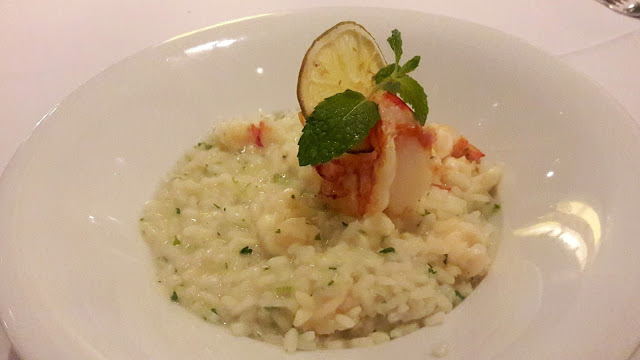 The risotto was lovely - long grains of rice cooked in Prosecco with plenty of scampi. 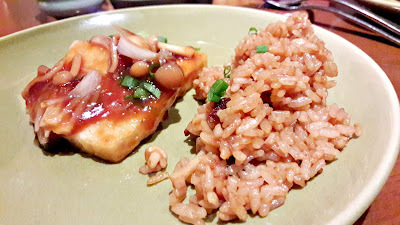 The taste of lemon balm was delightful, punctuating the rice with zesty freshness. 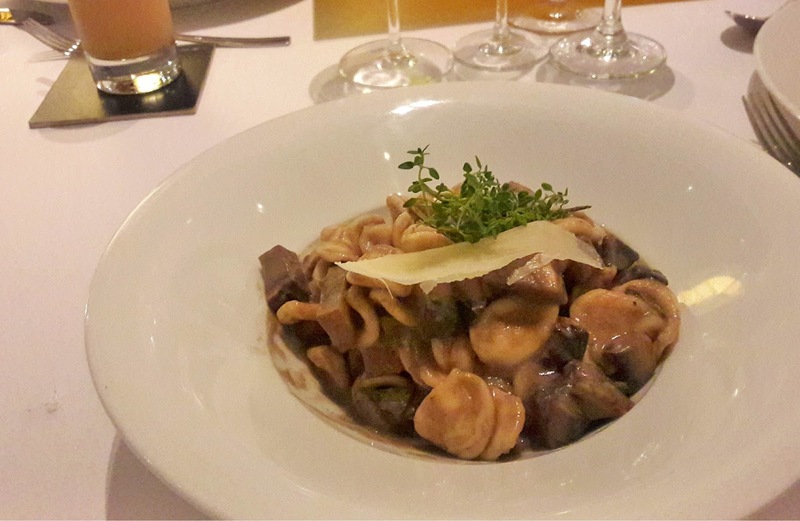 Chef Andrea's style of cooking is not restricted to any one region so there was even orichiette, ear-shaped pasta in a mixed mushroom sauce - yeah, there were lots of mixed mushrooms in the sauce. 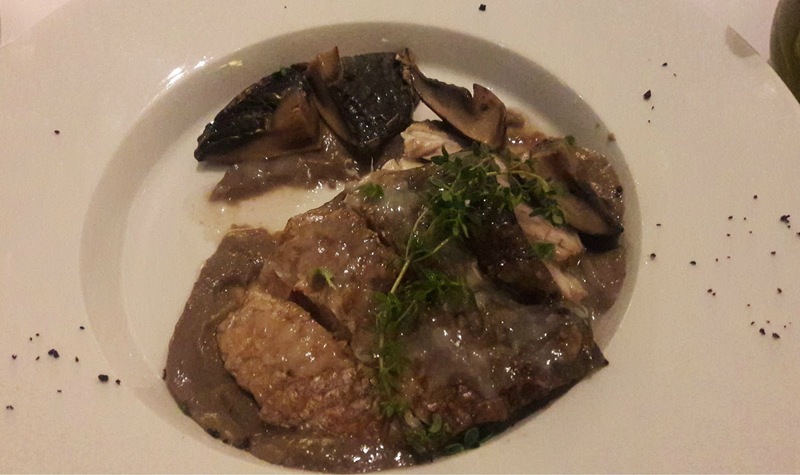 Sea bass with mushroom and Prosecco sauce was the first of the main courses. The fish had been broiled on its scales and we loved the fresh, firm flesh. 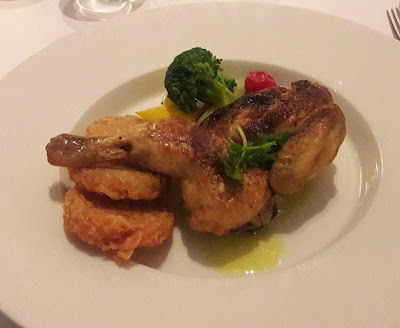 Loved the juicy meat in Pollo alla Diavola or devil's chicken which was served with rösti that looked exactly like hash browns. The chicken was super tender and juicy. Yum!! Tomato confit with cottage cheese, mint and honey was a delicious offering; the creamy cheese, stuffed into tomato cups was especially appreciated by the lone vegetarian at our table. We were treated to 2 desserts - a bright saffron-hued pannacotta with raspberry coulis and a heady tiramisu. 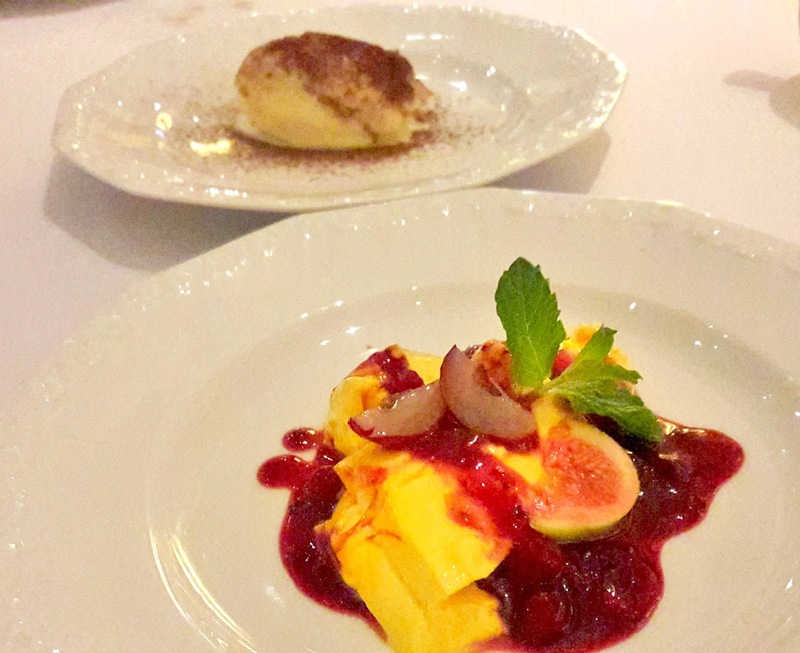 Don't forget to order that tiramisu - it's a fitting end to an Italian odyssey. The Taste of Italy is on till March 20th for lunch and dinner. 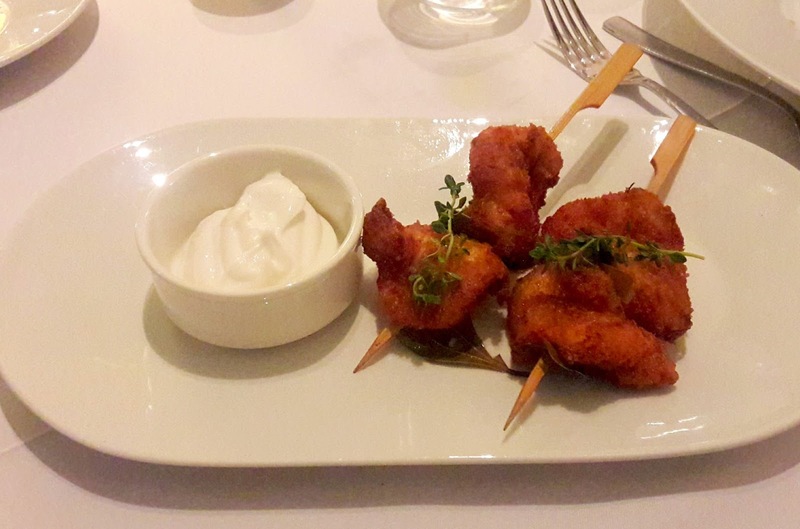 The menu is à la carte and priced at 4500/++ for two.